This simple Cherry Berry Slushie recipe is a refreshing way to stay hydrated this summer! As summer races on it feels like we are trying to pack in as much fun as week can! I’ve heard that some of you have kids starting school already. We still have a few weeks of summer vacation left but Zack got a letter from the school telling him who his teacher will be this year so it won’t be long! Christine is at the beach on vacation with friends. Once she gets back home she will only have a couple days before her classes start so I am glad she was able to go on vacation beforehand. Over the past week, we went to our small country fair. Zack spent a couple of nights at grandpa and grandmas. Vanessa went to a birthday party and did some backyard camping. We went to friend’s houses and had dinner company to our house. Whew! It’s been busy and one common theme to all of the summer fun is being thirsty! Although I always try to keep water bottles on hand, everyone gets tired of drinking plain water. That’s where Wyler’s Light Singles To Go come in. 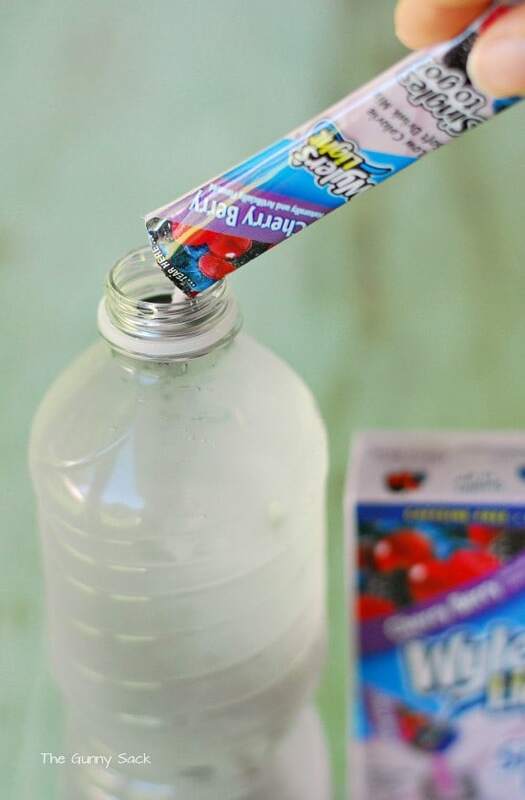 When we want a refreshing flavored drink, we take one of the packets and dump it into our water bottle. When I was growing up, my parents put an in-ground pool in our backyard. My parents friends and relatives helped with some of the labor. It was during the summer and it was HOT out. I remember my mom making a large pitcher of juice and putting the entire pitcher in the freezer. She would periodically go downstairs to the freezer (with us kids following behind) and stir the juice. Eventually the juice turned into a delightfully cold slushie which she served to everyone. I have so many fond memories of spending my summers outdoors, swimming in our pool and drinking slushies. So, I decided to make some homemade Cherry Berry Slushies using the Wyler’s Light Cherry Berry. The ingredients are basic: a 16.9 oz bottle of water and a Wyler’s Lights Singles To Go packet. Pour the powder into the water bottle. 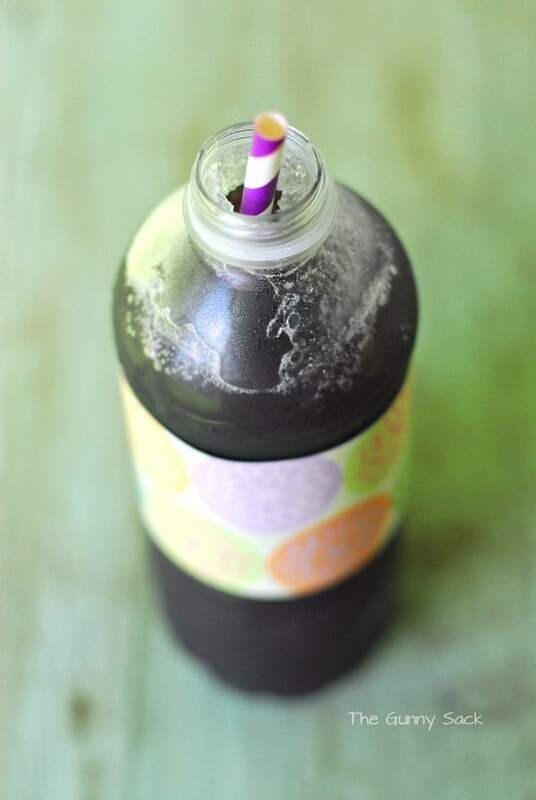 Put the cap on and shake the bottle to mix the drink. Place the water bottle in the freezer and set the timer for 30 minutes. When the timer goes off, shake the water bottle and return to the freezer for another 30 minutes before shaking again. Back to the freezer for another 30 minutes and shake. Continue freezing and shaking at 15 minute intervals until the drink is a slushie. 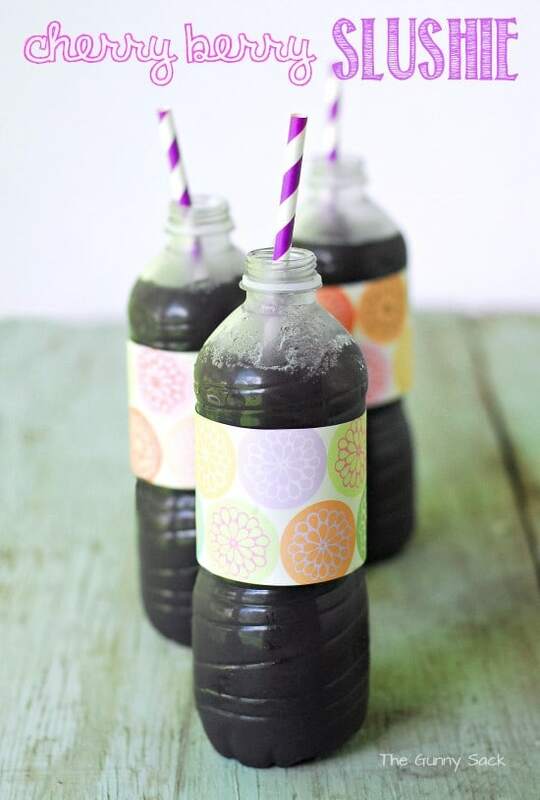 These slushies were ready in 2 hours but the time needed will vary depending on your freezer. My kids have been doing a lot of bike riding this summer! Zack enjoyed drinking the cherry berry flavor. We bought the kids a new basketball hoop system at the beginning of the summer. My kids have spent a lot of time shooting hoops. 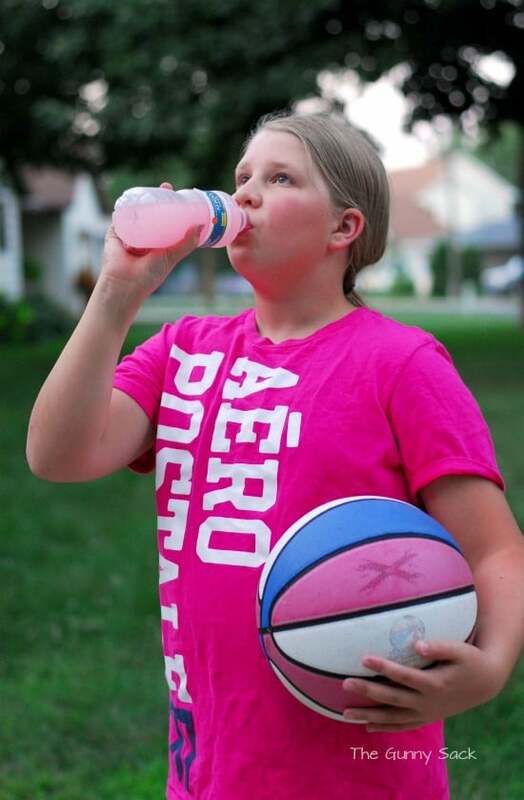 Vanessa enjoyed the pink lemonade flavor while playing ball. 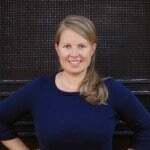 Wyler’s Light has a fun summer giveaway going on with delicious prizes! 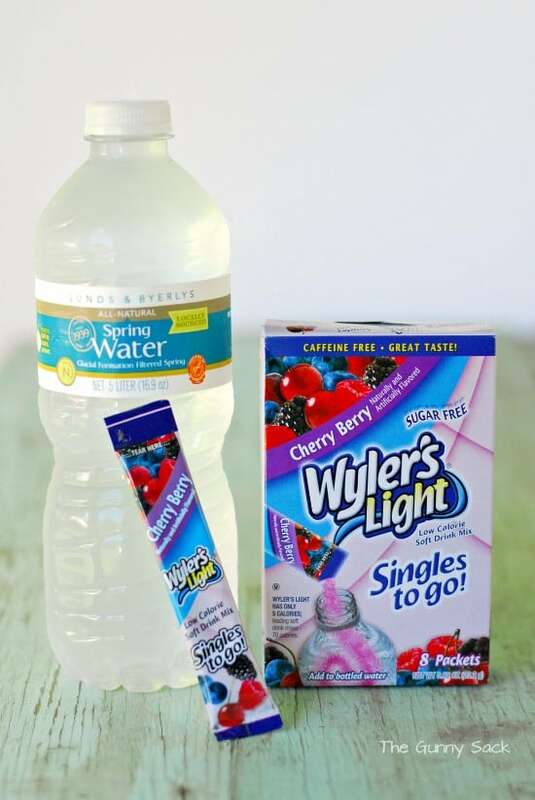 It is easy to enter the Wyler’s Light “Just Add Water” Giveaway. After you “Like” Wyler’s Light, click on the Just Add Water tab to enter the giveaway. 2 weekly winners (total of 14 winners): Two (2) Wyler’s Light 8ct Singles to go! Type in your name and email address. Then, click Enter Now. 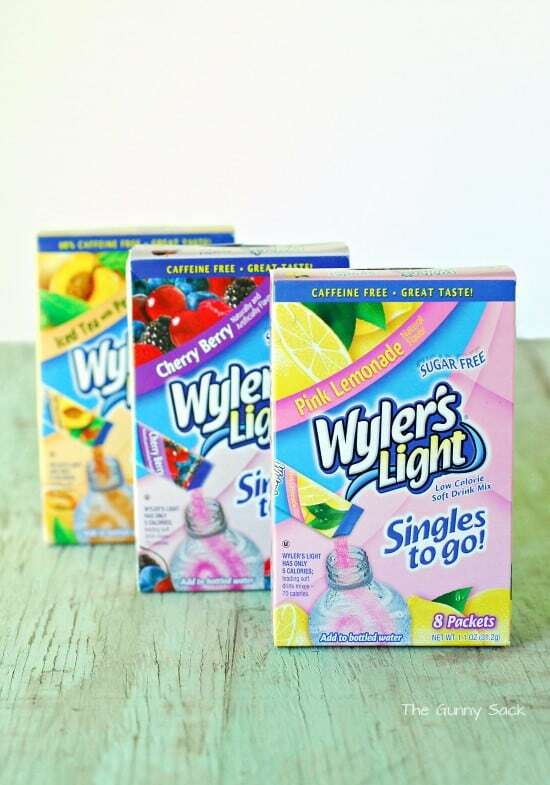 Keeping Wyler’s Light on hand makes it easy to have flavored drinks. The packets are small and can be tossed into a purse or beach bag. We tried out the Pink Lemonade, Cherry Berry and Iced Tea with Peach flavors. Our favorite flavor was the Cherry Berry. I love that they are low calorie and sugar free! 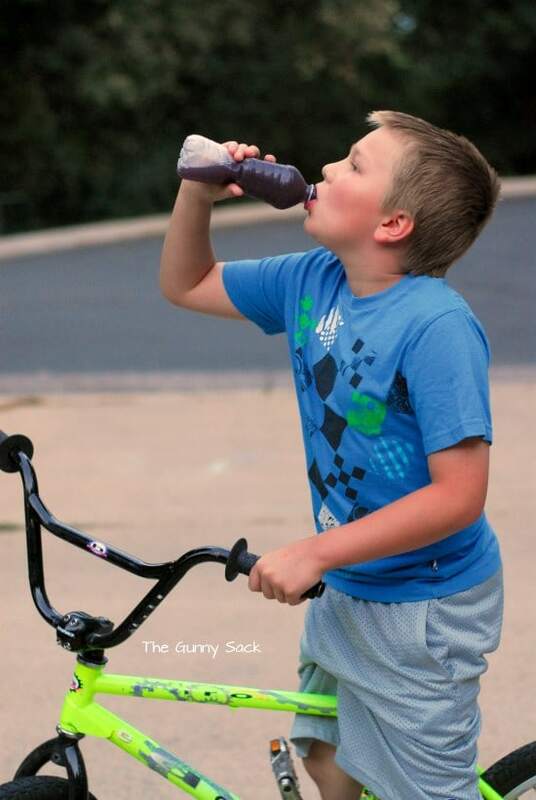 How are your kids staying hydrated this summer?